As household debt skyrockets, one financial expert insists interest rates may be forced to fall sooner rather than later. However, other economists say such a move by the RBA is still highly unlikely. Chris Bedingfield, principal and portfolio manager of Quay Global Investors, suggested that despite general consensus, the RBA will likely be compelled to cut the official interest rate in the near future. “As Australian household debt relative to income has steadily increased, there is now meaningful downside risk to the economy as the housing cycle unwinds. This is specifically due to very high levels of household debt, tight credit conditions, potential downside to jobs and economic activity from the construction sector, and the almost inevitable rise in household savings impacting 60 per cent of GDP via household consumption,” he said. “This resistance and pressure can also be attributed to the implications of the Royal Commission into Misconduct in the Banking, Superannuation and Financial Services Industry. While creating tensions within the quality of lending practices, the primary impact has been to create tighter financial conditions for households to borrow. Mr Bedingfield foretold of the potential for further economic weakness as a result of the falling housing market. He emphasised his concerns for a slump in construction and a loss of jobs due to tightening credit and a decline in house prices. “If we look at the historic ratio of construction jobs to total jobs, it could be as many as 250,000 jobs (or 2.2 per cent of the total workforce),” he said. “The experience in the US was worse post the financial crisis, as the industry shrunk to a size much smaller than the pre-cycle ratio. Markets tend to overshoot, and the construction job market in Australia is prone to meaningful downside risk. Mr Bedingfield’s prediction suggests a faster timeline for rate cuts than forecast by other leading economists. Speaking to Nest Egg ahead of the November rates meeting, managing director of Market Economics Stephen Koukoulas said he also expected the RBA will be forced to cut the cash rate, but not until next year. “Rates will be on hold for a while longer. I happen to think the RBA will be forced to cut, but not till 2019. The RBA needs to see something dramatic happen before it moves to cut. Perhaps household spending falling on the back of the decline in wealth? Perhaps ongoing weak inflation and wages? Perhaps the unemployment rate to touch 5.5 per cent?” he said. One such economist, Alex Joiner, said the prediction of a cut is not a common view held by the banks or other economists. The chief economist at IFM Investors told Nest Egg the RBA’s economic outlook for the country has been largely positive and, should such a forecast prove true, there is no indication that the next move would be a cut. 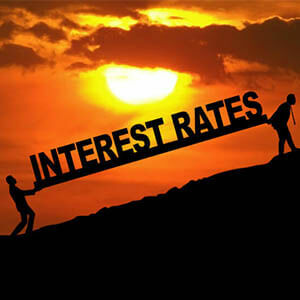 “The prospect of a rate cut any time soon seems to be a very high hurdle. It’s certainly not what the RBA envisages. Their forecast on monetary policy that they released after the last board meeting was relatively upbeat on the domestic economy,” Mr Joiner said. “They see economic growth growing above trend, they see the unemployment rate going down by 4.75 per cent by 2020 and they see 2.25 per cent year on year inflation forecast for underlying inflation, which is their target, by the end of 2019. He acknowledged that uncertainty in the housing sector may prompt experts to consider the notion of a cut, however he asserts it would take the unemployment rate to rise alongside the current housing drop and tightening of credit supply for the RBA to be forced to cut – a reality, he said, that is unlikely. “A lot of the narrative that people who toy with the idea of a cut project comes from the situation in the household sector,” Mr Joiner said. He said it was important to recognise that the perceived threat posed by the fall in house prices, the spike in household debt and the slow down of residential construction need to be considered in context. “What is happening now is a relatively modest decline in house prices, from what have been very strong increases. To put it into context, we have roughly a 5 per cent year on year fall in capital city housing prices across the country, down from a rise of 30 per cent over the last four years,” Mr Joiner said. “It’s true, we do have a relatively high level of household debt because we have relatively high house prices. However, the RBA is at pains to emphasise that most households that have a mortgage are actually ahead in paying that mortgage. As interest rates have come down, the proportion of principal and interest has changed but the overall level of the mortgage payment hasn’t changed for those that got their mortgage, say, 100 basis points ago. So, the Reserve Bank can actually raise interest rates on that basis, as their outlook predicts, as there won’t be a cash flow impact for many households out there. “The household debt situation is manageable. You wouldn’t want it to continue to deteriorate, but at this stage it is seemingly quite manageable. I think the fears in that sector are a little bit overblown and I don’t really see what an interest rate cut would do to assist that. Mr Joiner said it will be wage growth that will eventually provoke the RBA to move the interest rate, as any increase in wages will have significant ramifications for household spending, the outlook for inflation and the forecast for the property market and borrowing. However, he does not see this happening for some time yet. “Now, the consensus of economists is looking at around the second or third quarter of next year for an interest rate hike, and I broadly agree with that,” he said.